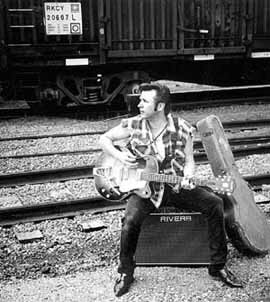 IN November 1998, Novocastrian singer/songwriter BRIEN MCVERNON released his debut album BRIEN MCVERNON ON THE ROAD. Six months later after touring with his one-man show throughout the Hunter with his mixture of originals and covers, MCVERNON is releasing his first single PLEASE COME HOME. The single and the accompanying video will be launched at Club Phoenix on Saturday night. The video was shot by VELINDA WARDELL of VELOCITY VIDEOS and SAY SOMETHING PRODUCTIONS and directed by VELINDA and NADINE LAPALMA. The video clip features a definite Novocastrian affiliation and feel, with some of the band action shot at Kooragang Island. The solo shots were taken at MCVERNON'S Mayfield home and the young actors and dancers are from THE HUNTER ACADEMY of DANCE at Waratah. Saturday night's release will take place in the club's main auditorium and will feature a special performance by MCVERNON and his four-piece band the YOUNG GUNS featuring MATT MCCOLL, GARETH HUDSON, DEAN GEARING and NADINE LAPALMA.